Here's a look at the active career MLB home run leaders as of right now. Pictured are the top 24 and the list is the top 50. Let's look at the top 5. 1. Albert Pujols - Pujols joined the 600 HR Club this season and is currently 8th on the all-time list. He will likely pass Jim Thome this season and maybe Griffey next year. Not sure if he has enough left in his tank to pass Mays at 660 and make it into the top 5 all-time. 2. Adrian Beltre - Beltre has only played in 76 games this season, but he did join the 3000 Hit Club earlier this year. With just 16 home runs at this point of the season Beltre will likely end 35+ home runs shy of 500. This would likely mean 2 more decent seasons for the aging slugger to reach the 500 mark. 3. Miguel Cabrera - Cabrera is currently only 1 homer behind Beltre and is 4 years younger, so he certainly has better odds of joining the 500 Home Run Club before he ends up calling it quits. 4. Carlos Beltran - Beltran has been riddled with injuries throughout his long career. If he'd remained healthy, it's likely that he'd already reached 500 home runs. In 9 of his 20 seasons, Carlos has been limited to less than 100 games. 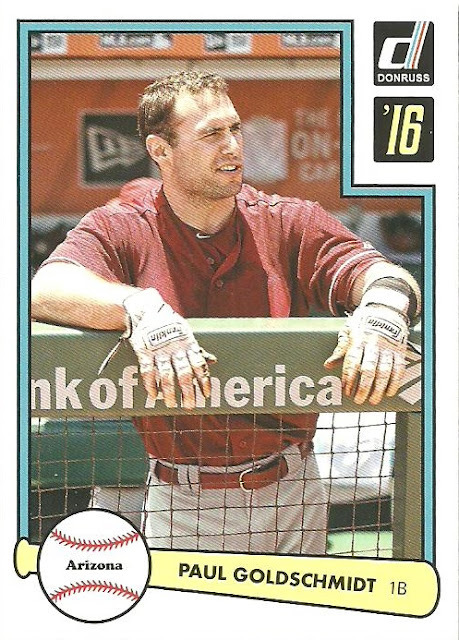 At age 40, it doesn't look like Beltran will make it. 5. Ryan Howard - Howard became a free agent after the 2016 season and signed with the Braves and spent some time in the minors before being released in May. It wasn't until just two weeks ago that Howard signed another minor league deal with the Rockies. Howard may never play in the big leagues again. The fastest player to reach the 100 and 200 home run mark will likely not reach 400. Taking a look at the rest of the list there are only 4 players in their 20's. Giancarlo Stanton has 257 homers and is just 27 years old. Justin Upton is at 249, but at 29 he's two years older than Stanton. Mike Trout is the youngest player in the top 50. 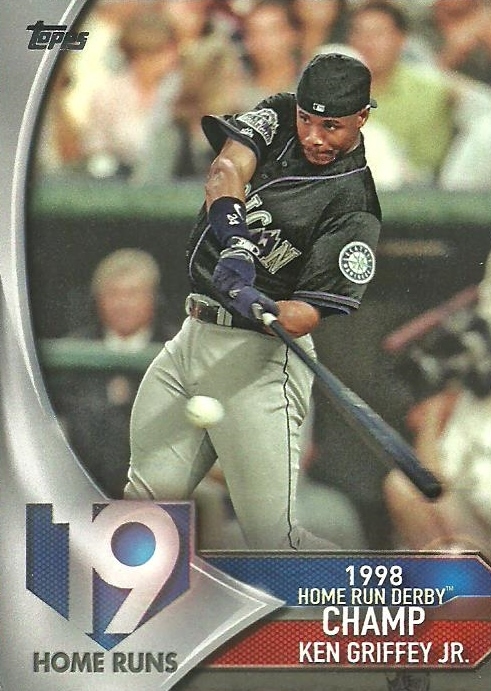 At just 25 years of age he has hit 194 home runs. 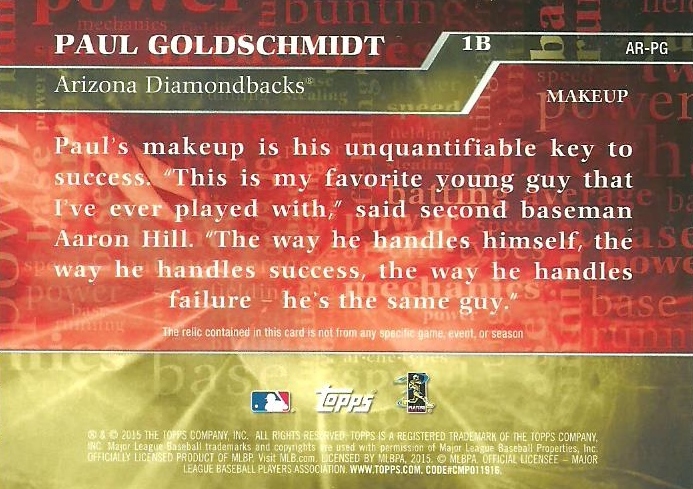 The fourth player on the list, still in his twenties is Paul Goldschmidt. He's 29 and currently has 170 home runs. Goldy spent 3 years in college before being drafted in the 8th round by the Diamondbacks, so while he and Justin Upton are the same age, Goldschmidt has 2 less big league seasons under his belt. 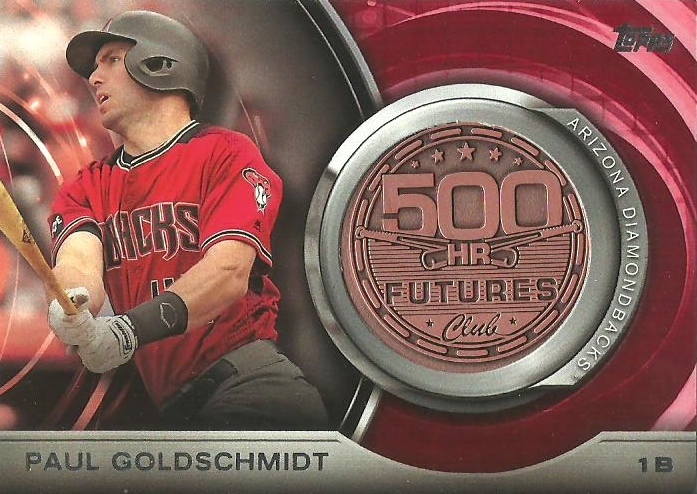 Nick, a fellow dime box junkie, recently sent me this 2016 Topps Update 500 HR Futures Club medallion card. 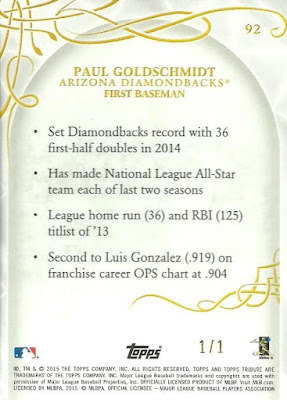 Do I think Goldschmidt will ever reach the 500 HR mark? Hard to say. He would need 11 more seasons of 30 home runs to reach that number. That would put him at 40 years old. Now it's possible that if he has multiple seasons of more than 30, then it could only take 8-10 more seasons. So, it's possible if he can remain healthy. 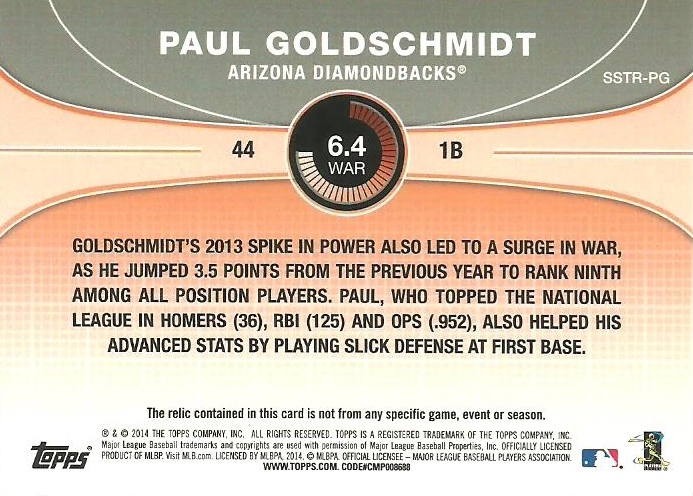 Nick sent three other Goldschmidt cards. I needed two of them; the 2016 Donruss and the 2014 Gypsy Queen mini. Nick didn't stop there. He sent me a great assortment of cards including a bunch more D-Backs, a six pack of Griffeys, and a pair of Cards Featuring Awards. I have found memories of reviewing the Hot and Cold lists in Beckett each month. Here are a couple of visually appealing opposites of great D-Backs pitchers. I've seen this A.J. Pollock Stadium Club card multiple times, but it wasn't until now that I noticed the cast. The photo is from Opening Day 2016, just days after Pollock fractured his elbow. 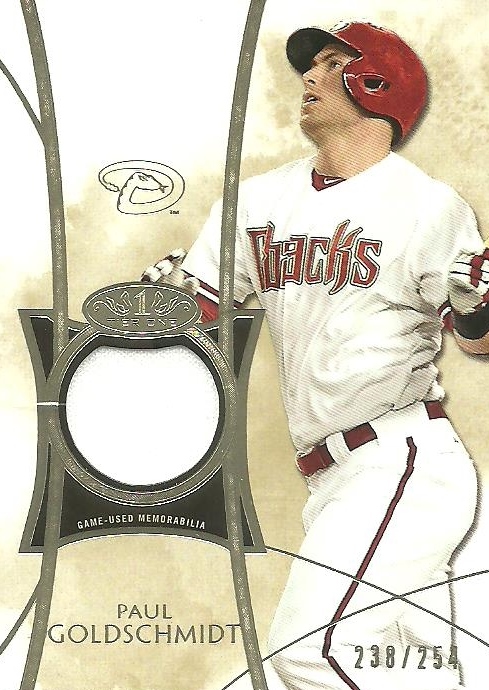 A card featuring a pitcher at the plate is a rare occurrence. 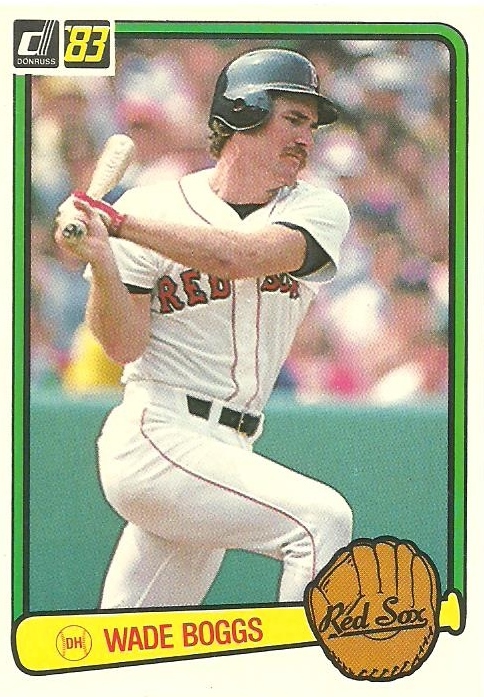 But a card showcasing a pitcher on the base paths is even harder to come by. 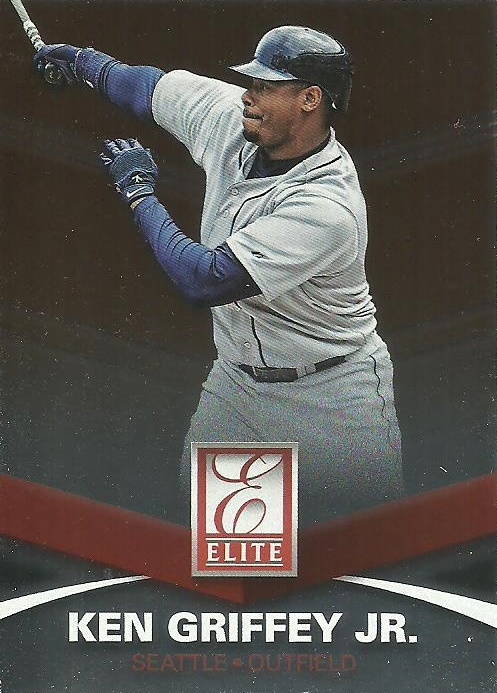 This Drew Fie auto doubles as a donut card which is another one of my mini collections! 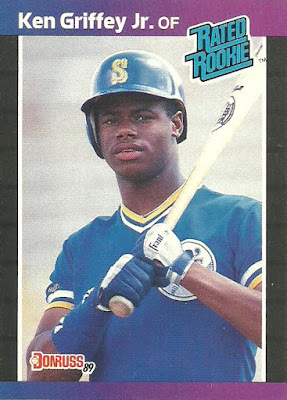 Griffey was my first cardboard love. 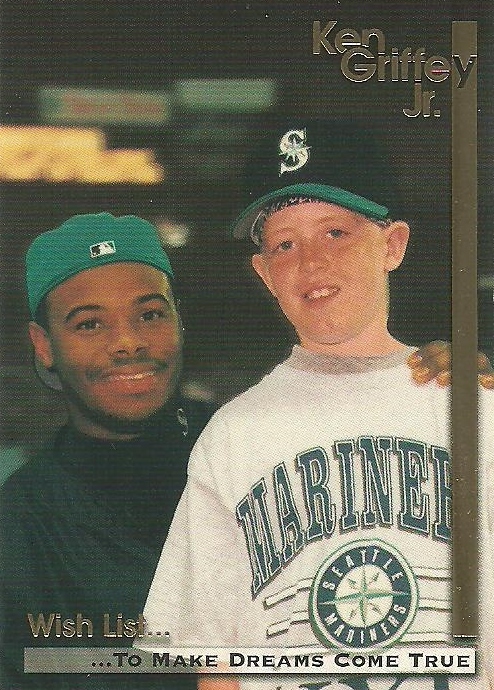 I really need to focus more on my Griffey collection. At least put together a comprehensive list of what I have. 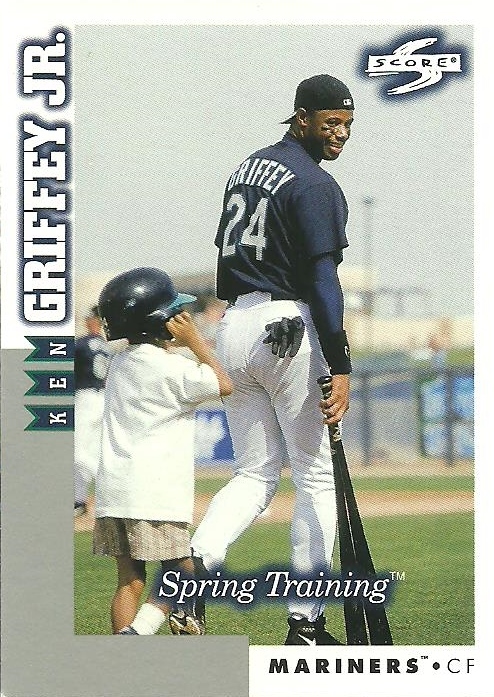 I wonder if this 1998 Score card features "Trey", Griffey's son. 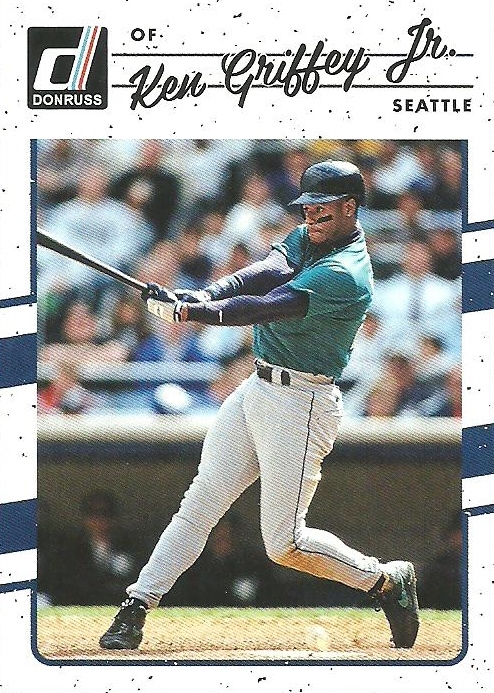 Trey was drafter by the Mariners in 2016, during the 24th round as a tribute to Griffey's number when he was with the Mariners. Instead of baseball though, Trey choose football. 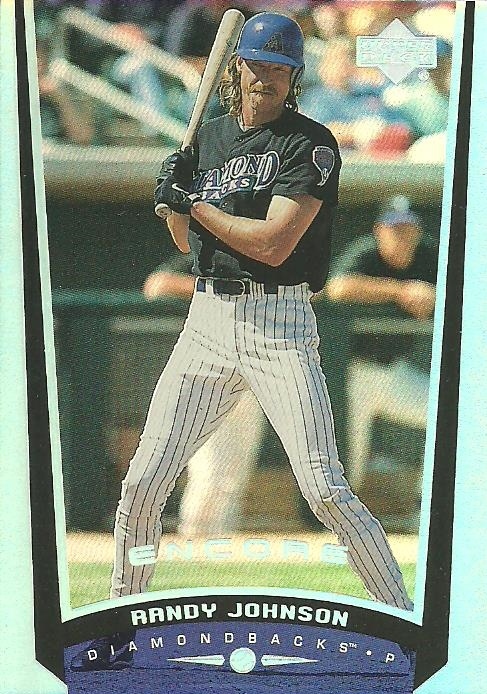 He played college ball at U of A. While not drafted into the NFL, he singed with the Colts earlier this year before being released and just recently signed with the Miami Dolphins. We'll see if he makes the roster. 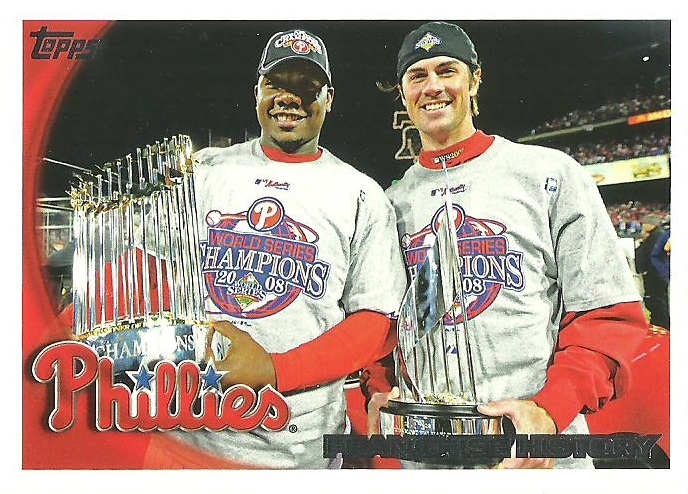 Nick added to another one of my mini collections with these two Phillies cards. 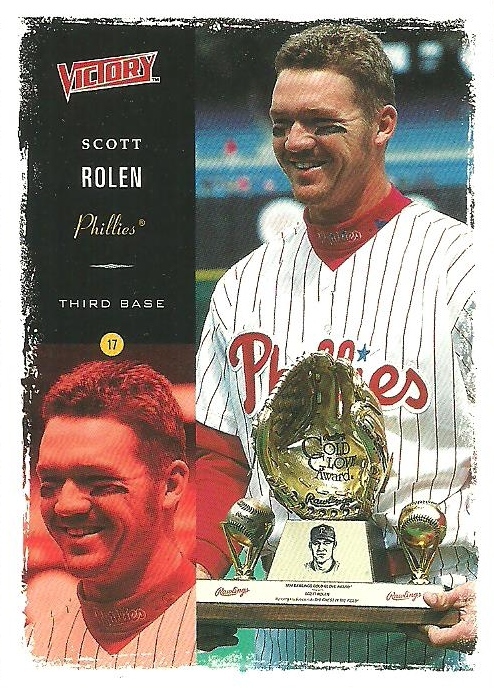 Both cards are great, but this Scott Rolen card is just fantastic! 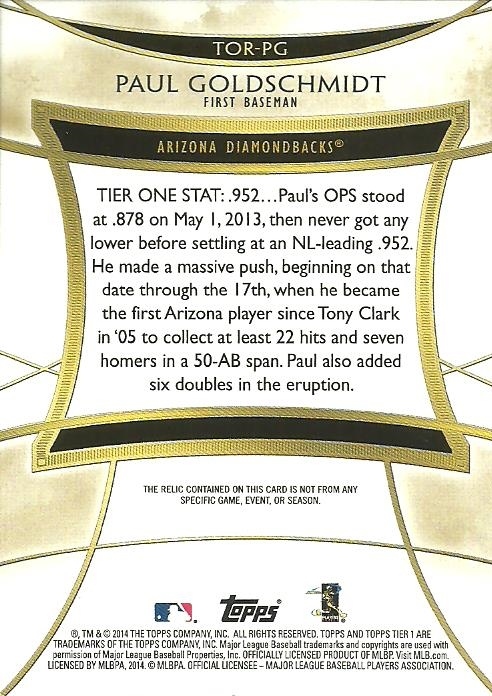 I think it's my first card to feature the Gold Glove award. Nick, thank you so much for all the great cards! ...here are some baseball cards you can stare at all day long. Here is a small sampling of some cards that I picked up at my LCS on National Baseball Card day a week or so ago. I actually met up with Angus from the blog Dawg Day Cards and we went to a couple of card shops to celebrate the holiday. This was the third time I got to meet up with Angus over a period of about a month. The first two were at D-Backs games. It was a lot of fun hanging out with someone who has a passion for cards just like I do! The cards below came from 15/$1 boxes. That works out to roughly 7 cents each. 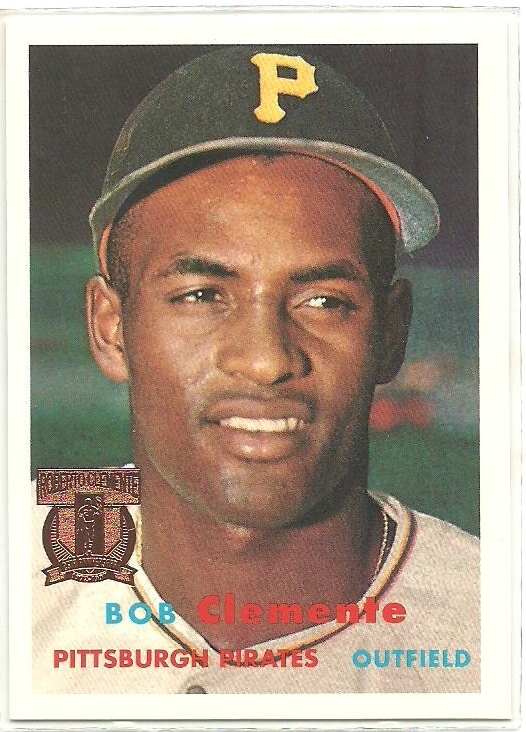 I tried taking this Clemente out of the its penny sleeve to scan, but it turns out it's not in a penny sleeve. It's from the factory set and it's actually sealed. Next up are two Donruss rookie cards of Hall of Famers. Not too shabby for 7 cents each! The biggest package I've ever gotten from a fellow blogger. I was sitting at my desk last night and heard a delivery truck pull away. Julie, of the blog A Cracked Bat: Baseball Cards and a Hot Dog, had alerted me that she was sending a package my way so I quickly went out to retrieve it. Even though I knew Julie was sending me some Beckett magazines, the box was larger than expected. It's the biggest package I've ever gotten from a fellow blogger. Inside the giant box were two other boxes; a shoe box filled with magazines; mostly Beckett's like this one from 2001 featuring Ichiro. I can't wait to go through each and every one! There was also a Sport's Illustrated and Newsweek from the Summer of 1998 featuring McGwire and McGwire and Sosa respectively. At the very bottom of the pile was this Texas Rangers program from 2006. Pretty cool. I like the Rangers. I used to go to a lot of their Spring Training games and practices way back when. But then I notice a sticky note sticking out of the program. I turned to it and there was a ticket stub from a game on June 18, 2006 against the Arizona Diamondbacks. Now that's cool! 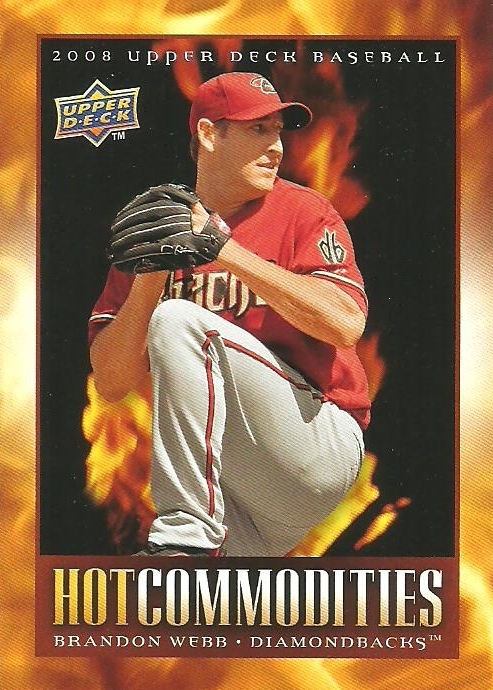 A search reveals that the Rangers beat the D-Backs that day, 10-7. 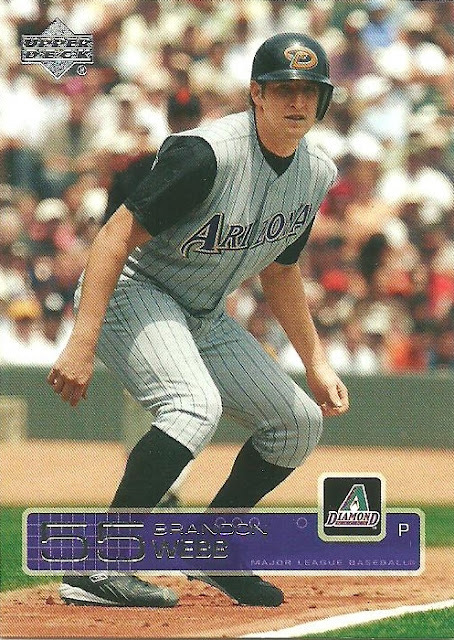 Eric Byrnes, Orlando Hudson, and Shawn Green all hit home runs for the D-Backs in the loss. 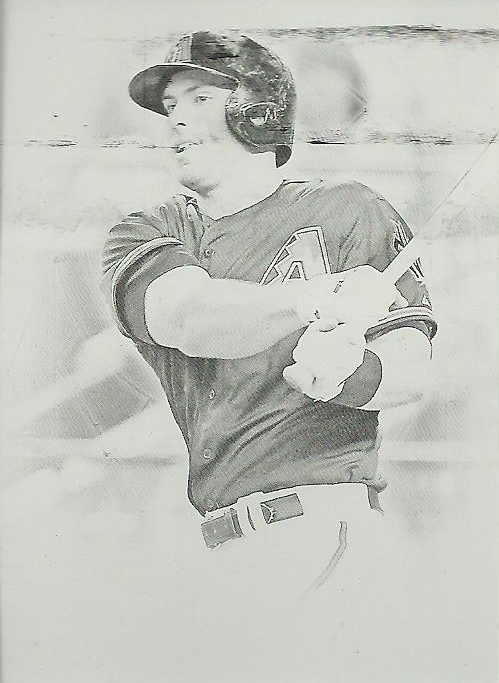 Michael Young hit one for the Rangers. The second box contained an envelope with three numbered team bags and a note from Julie asking me to humor her by opening them in order. So let's start with bag #1. I believe this is my first Mitch Haniger card. I remember this guy last season. He hit a triple in his first MLB at bat and had 3 RBI in his first game. I don't think he has a Topps card as a Diamondback. 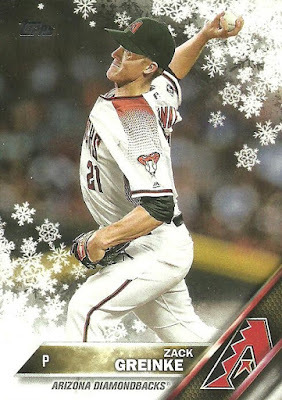 He was traded during the last off-season to Seattle as part of the deal that netted us Taijuan Walker and Ketel Marte. A few current and a few former D-Backs. 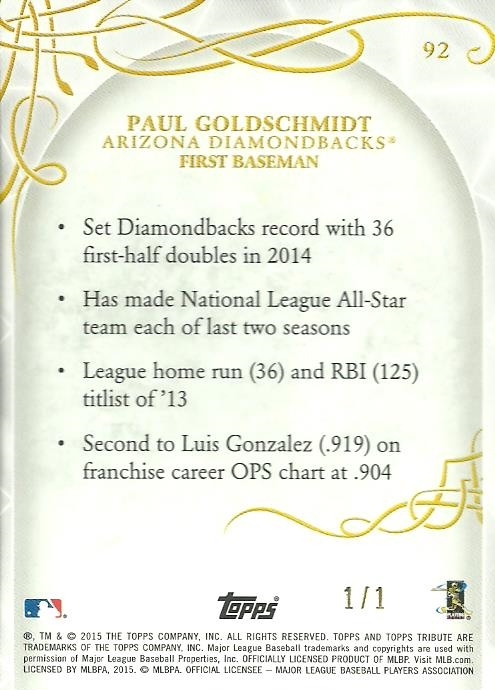 Goldy! 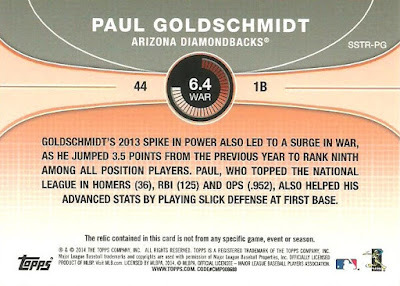 Disappointing that they gave Goldschmidt a "sacrifice bunt". 2017 Gypsy Queen near complete team set. Looks like it's just missing Jake Lamb. Let's check out bag #2. Gold parallels of Tomas and Lamb. 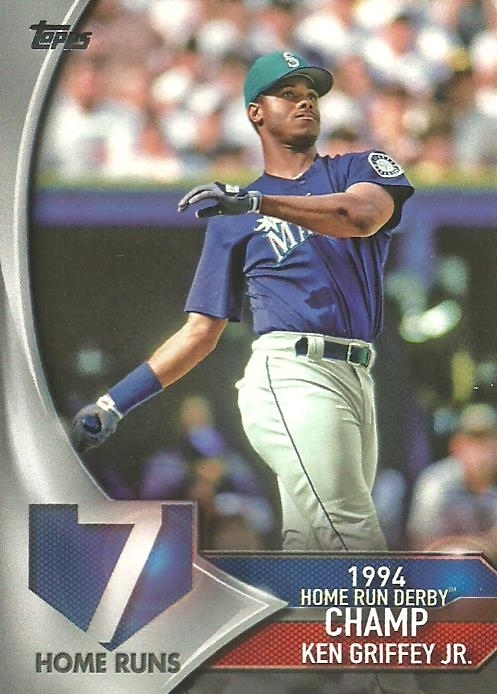 These 2002 Donruss Studio Stars cards look like credit cards and are awesome! A great assortment of old and new with numbered, refractors, and die cuts sprinkled in. I love it when I can connect a card to a specific moment and as a D-Backs fan there is no better moment than this one. This little guy was stuck behind another card and I missed it the first time I flipped through the pile. 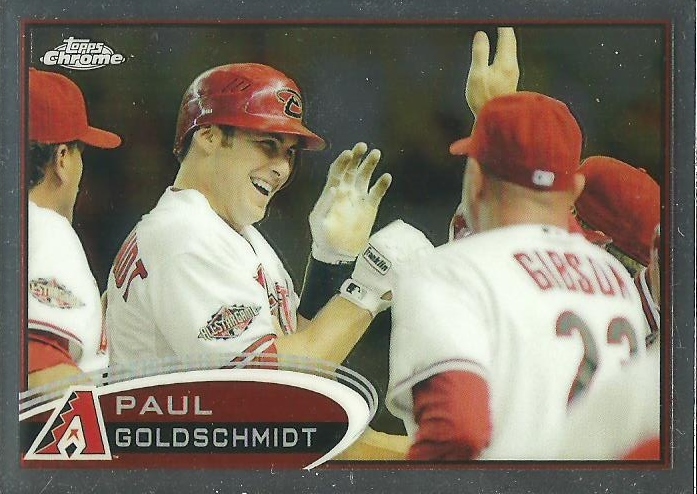 It's a Topps mini parallel numbered to 10! 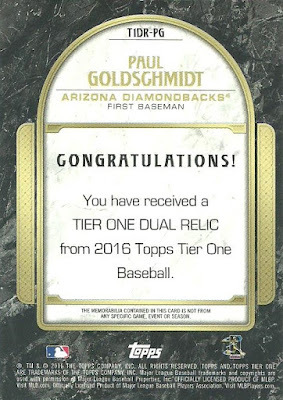 The Steve Finley that features him and his son, that was on the top of the bag, that I forgot to get a picture of, was hiding 10 more Goldschmidt cards! Three cards of the Big Unit including a sweet jersey card! Love the shine on the 2017 Topps Chrome Brandon Drury refractor. 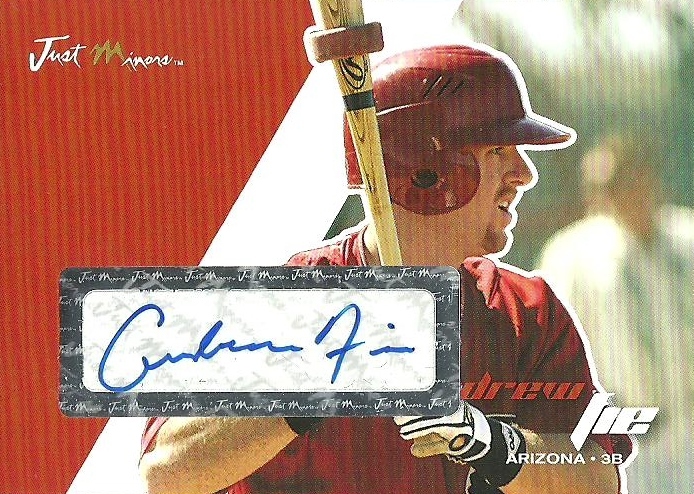 Cool Stadium Club auto of Peter O'Brien. Such a sad story. O'Brien was a 2nd round draft pick in 2012 by the New York Yankees. The Yankees traded O'Brien to the D-Backs in July 2014. 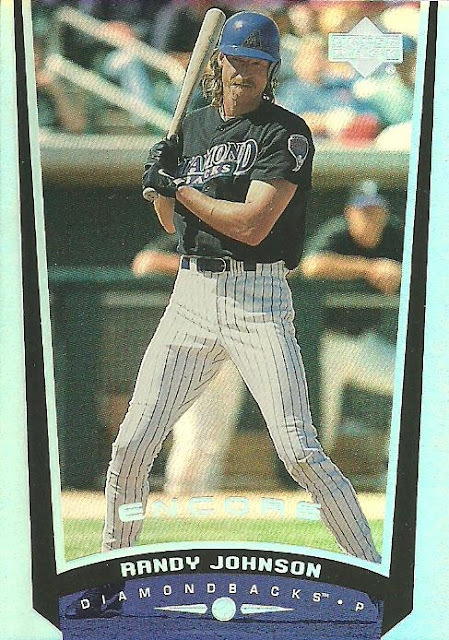 He started as a catcher, but converted to an outfielder against the wishes of the Diamondbacks. He made his debut on September 11, 2015. 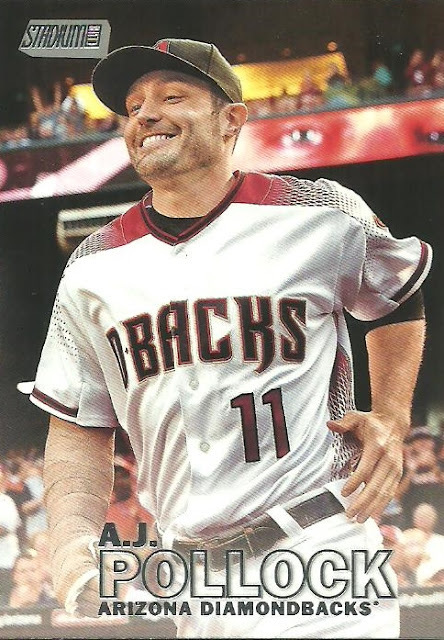 He hit 6 home runs in 34 games for the D-Backs in 2015 and 2016 before being traded to the Royals and spending time in their minor league system. Next up were stints with the Reds, Rangers, and Dodgers minor leagues. The Dodgers designated him for assignment on July 31st of this year. 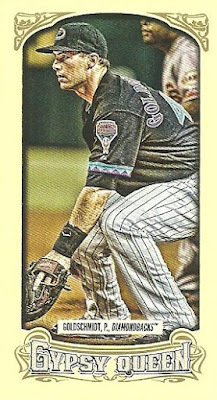 Finally, another Topps mini. This time it's a rookie card of Archie Bradley. It's the pink parallel numbered to 5! Bradley has grown a beard and has become a huge part of the D-Backs bullpen this season. I was at the Dodgers game earlier this month where the D-Backs were down when Jake Lamb hit a grand slam to take the lead and then Bradley came in to record three quick outs and as he stormed off the mound he shouted "Let's go! This is our house! Let's go!" in reference to all the Dodgers fans at Chase Field. Probably my favorite game of the season so far! Wow Julie! I'm blown away by your package! I can't wait to go through the all Beckett magazines. In fact, I've already looked through several. I owe you big time . I'm embarrassed by what I sent your way. You'll be getting another package from me soon! No Pictures of Baseball Cards. Will Anyone Read This? Last week I asked a question and I got a great response from the blogosphere. The question I asked was, "When was the last time you bought a Beckett magazine?" Let's take a look at the 52 responses. Seven respondents have never purchased a Beckett. Let's remove them from the rest of the data. That leaves 45 people who have actually bought a Beckett. Four of the 45 either have a current subscription or have bought the magazine at some point this year. So we'll remove them from the equation as well. Now we're at 41 people who have bought a Beckett, but it's been at least 8 months ago. 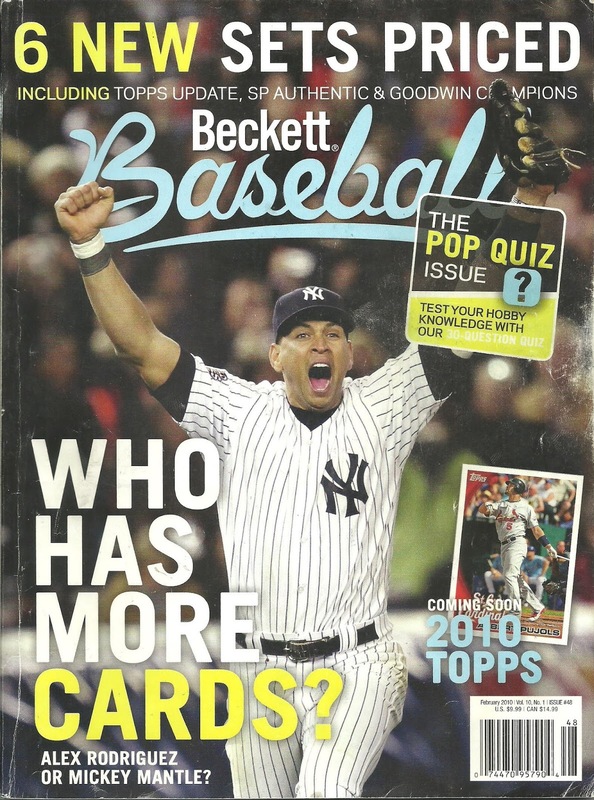 78.04% of people who responded haven't purchased a Beckett magazine in the last 5 years and for more than half, 53.65%, it's been more than 10 years. 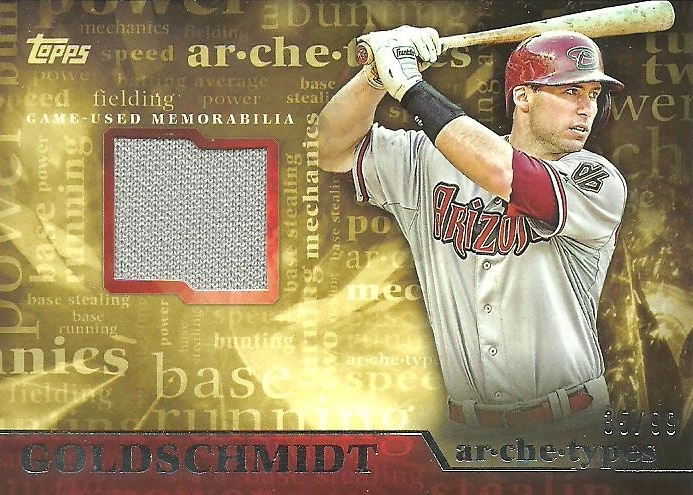 If you're like me, and I'm assuming you are, because you're reading a blog written about baseball cards, then I think it's safe to assume that you're obsessed with baseball cards and with a monthly magazine dedicated to baseball cards it's hard to believe that 78% of us haven't bought one in the past 5 years. I used to love Beckett. I never had a subscription, but I would buy them on a regular basis and I collected those with my favorite players on the cover. I would even check them out from the library as well. There was a time when the price guide was important to me, but more than that I loved reading about cards and other collectibles. 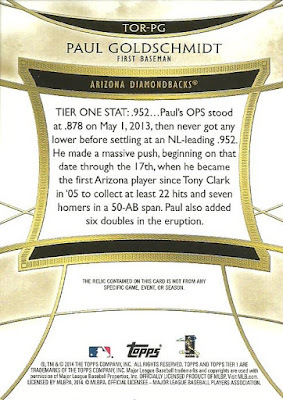 I enjoyed seeing a breakdown of a new release, reading about star players, former players, and errors cards. I loved seeing other peoples collections. I loved the artwork on the front and back inside covers. I never really left the hobby, but I wasn't as active as I am now between 2000 - 2009, so when I found others baseball blogs and returned full steam in 2009 I started looking at Beckett again and was instantly disappointed. This disappointment came from many of the same reasons you all described in your responses to my question. The price guide portion of the magazine is irrelevant and the articles are almost non existent. Not sure if you've noticed, but my url is www.betterthanbeckett.blogspot.com because what I loved about Beckett was a way to connect with other collectors. I loved reading peoples questions and comments in the Readers Write section. I loved seeing homemade cards that other collectors had made. I loved seeing pictures and reading the article about Super Collectors. Everything that once made Beckett great in my eyes was now gone, or at least had been whittled down to near extinction. When I selected www.betterthanbeckett.blogspot.com as my web address it was because the blogosphere had replaced Beckett for me. I think this is true for many of us. My blog title is It's like having my own Card Shop because I really feel like my blog and the blogosphere gives me an opportunity to look at cards, discuss cards, and buy and trade cards just like I could back in the day at my local card shop. 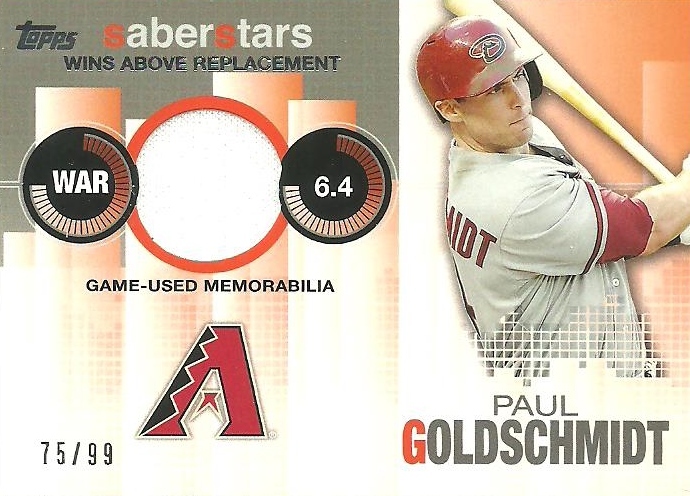 I recently added my 100th and 101st different Paul Goldschmidt cards this year. They make 316 different total. My goal was 50 and I've more than doubled that already. I should have made the goal larger. I have a few other Goldschmidt cards that I need to scan and sort and I just placed a comc order this morning with a few more. Do you keep track of how many cards you have or certain players? If so, how many different cards do you have of your favorite players? Thank you all for your responses to my post on Wednesday. Between the blog and Twitter I got 52 responses. I randomized the list 5 times, because I'm going to send cards to 5 people who responded. You know what, the bottom 5 will gets some cards as well. Just email me with your current address and I'll get a pwe out to you. I need a response from EVERYONE, please. I have a question for the blogosphere and I'd like a response from everyone. When was the last time you bought a Beckett magazine? Just a little clarification. My question is regarding a current issue of the magazine. So for example, in June I bought 5 old Baseball Beckett magazines from 1991. This isn't what I'm asking. 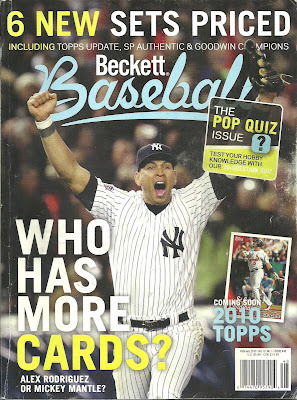 I want to know the last time you bought a Beckett during the month that it was published. For me it was February 2010. If you don't remember, your best guess will do, just let me know that it is a guess. I'm expecting that some of you will have bought a Beckett this month and for some it will have been much longer than me. To thank you for participating I'll randomly select one person for every 10 answers and send them some cards as a thank you! I was able to get a three card lot off eBay this week for a good deal. It was listed as a BIN for $12 with $3 shipping or Best Offer. I offered $7, so the total with shipping was $10 and the seller accepted. Here are the three cards I got. 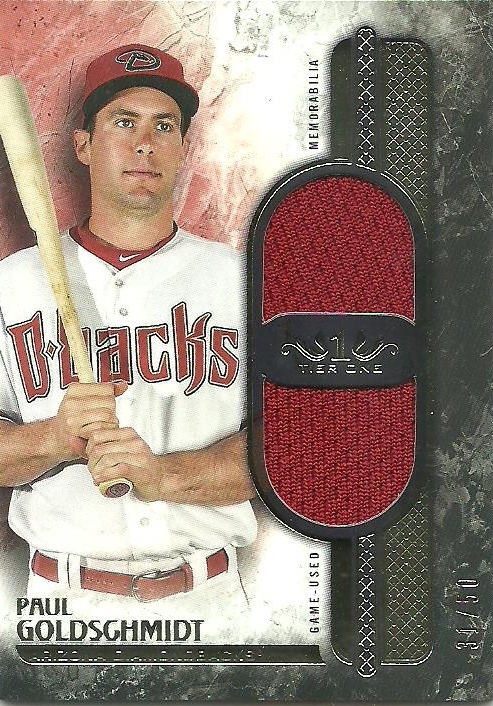 All are numbered plain jersey swatches of my favorite D-Back Paul Goldschmidt. If an auction has a Best Offer option, do you always use it before buying? What's your best Best Offer story and your worst?